City’s pioneering MA in Investigative Journalism is an intense and challenging degree designed to equip students with the essential reporting and research skills needed to produce investigations that change lives and society. Until There is no fixed application deadline. However, applications will close when the course is full, so you are encouraged to apply early. This course is suitable for students with any good degree who want to specialise in the area of investigative journalism. You will have a keen interest in digging deeper into topics beyond the daily headlines and a hunger to expose injustices and abuses of power using an evidence-based methodology. “I have just had a week at the Telegraph. I have published one original article and it looks like Monday’s splash will have my byline on it. I am going back next week to finish an investigation. But most importantly, whatever happens on Monday, I have been offered a job by the editor this afternoon. This is because of such amazing teachers!”. On this course you will complete an investigation and learn practical multi-media skills including television as well as print. It moves swiftly from basic journalism to fully-fledged investigative journalism provided by leading investigative journalists. Prof Heather Brooke, who exposed the MPs’ expenses scandal, Pulitizer-Prize winning reporter (and former course alum) James Ball, and investigative reporter Ian Cobain, who has worked at The Times and The Guardian. In addition, a wide variety of investigative reporters and editors contribute to lessons and projects throughout the year. You must be able to demonstrate commitment to journalism through relevant work experience, including regional newspapers, magazines, online, broadcast or student journalism. You don't need a set number of weeks of work experience, but we advise you to get as much as possible, both before and after submitting your application. These programmes are designed for international students who do not meet the required academic and English language requirements for direct entry. To prepare for this degree course, learn more about the Graduate Diploma in Journalism. As well as new graduates, we also welcome mature applicants with substantial work experience in the industry. If English is not your first language, you must get a minimum overall score of 7.0 in the IELTS English language test, including at least 7.0 in the writing component of the test and no lower than 6.5 in any other component. Students from outside the UK might wish to apply for the International Journalism MA, which is specifically designed for a global cohort. One application form. Apply online using the link below. A copy of your degree transcript. We require one of the following: an original transcript; a copy certified by your university; and electronic scan of your transcript. If you have not yet graduated, you will be required to submit your degree transcript as soon as it is available. You will not be able to register as a City student without having supplied your degree transcript. Details of your work experience in journalism. Copy and paste the details into the "Personal Statement" section of the online application form. Please also provide a copy of your CV. The following two articles. Copy and paste them into the "Personal Statement" section of the online application form. Article 1: write no more than 250 words on what attracts you to investigative journalism, and a subject you would like to investigate. Article 2: interview someone interesting in your local area. Based on this interview, applicants should write a 250-article. Please return your supporting documents, marked "Investigative Journalism", to: Department of Journalism, City, University of London, Northampton Square, London EC1V 0HB, UK. of graduates in employment six months after completing the course (DLHE survey 2014-15). in London for Journalism (Guardian University Guide 2017). alumni provide unique networking benefits. The following organisations have supported students in the Department of Journalism in the past. This is not a guarantee of future sponsorship, and you are advised to check the websites of these organisations for details of future bursary and scholarship schemes. NUJ (George Viner Memorial Fund). We actively encourage all our journalism student to gain journalism experience during their studies with us. Professional experience is an important step in developing a career in journalism and it helps students by put their learning into practice and make contacts in the industry. Work experiences are not formally assessed or arranged as part of the MA Programme but your personal tutor may be able to advise you in suitable organisations to approach that may suit your chosen career path. You will gain practical skills in our state-of-the-art digital television studio, digital editing suites, radio studios and broadcast newsrooms. Two TV editing and production newsrooms: state-of-the-art facilities that enable you to learn about TV production. Some modules are taught in lecture theatres, such as Journalism and Society 1 and Media Law, but most are small-group workshops that allow you to develop your journalistic skills and knowledge with the support of our expert academics. You will receive tutoring from some of the industry’s most experienced journalists and editors. Our students have the option of taking part in a Teeline shorthand course alongside their studies. This costs £100 (refundable if you reach 100 words per minute) and runs across two terms. 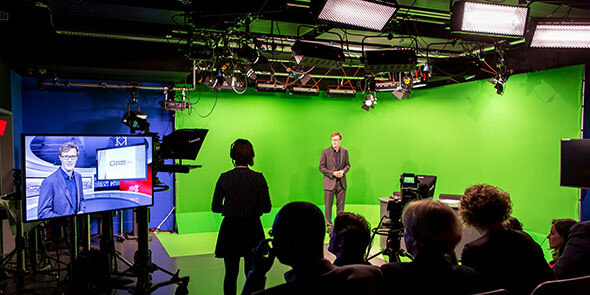 All MA Journalism courses at City are practical, hands-on courses designed for aspiring journalists. As a result, much of your coursework will be journalistic assignments that you produce to deadline, as you would in a real news organisation. Topics on the MA in Investigative Journalism range from business and financial journalism to investigations into individuals, organisations and corporations to miscarriages of justice. You will also be taught the basic essential skills required by the media industry such as producing news and feature material, interviewing, production, law, structure of government and ethics. Journalism Portfolio (30 credits) – Covers the essentials of reporting, from ideas and research to interviewing and writing, news and features, and using the Freedom of Information Act in journalism. Editorial Production (30 credits) – Producing and editing content for print and online publication, including video as well as text and images. Ethics, Rules and Standards (30 credits) – You put practical journalism in an ethical context with case studies and there are discussion groups in the second term. Final Project (30 credits) – You explore a topic of your choice in depth to produce one or more pieces of longer-form journalism, ideally for publication online and/or in print. UK Media Law (15 credits) – You learn the basics of UK Media Law to enable you to work in a UK newsroom. Political Headlines (15 credits) – You learn the structure of British Government and how it works; and you meet journalists who report and present it.. This course aims to prepare you for a first job in any form of journalism, including newspapers, magazines, online and the broadcast media. Investigative Journalism graduates will be especially valued in jobs which require rigorous, in-depth and advanced research and investigative skills. There is no fixed application deadline. However, applications will close when the course is full, so you are encouraged to apply early.